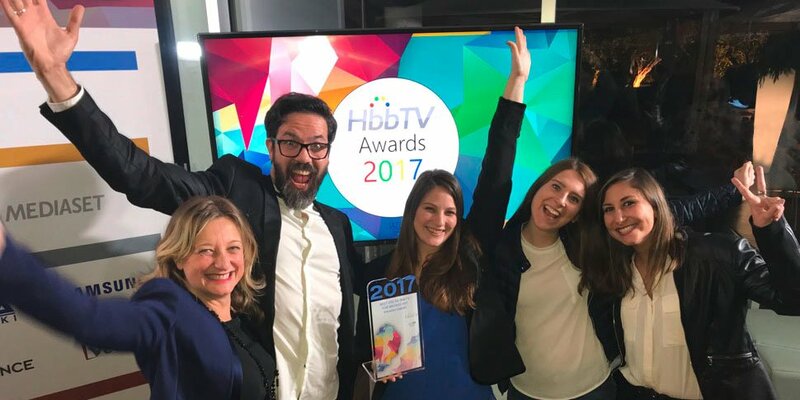 At the HbbTV Symposium 2017 in Rome, the MPAT project created application "Band Camp Berlin" won the HbbTV Award in the category "Best use of HbbTV for broadcast enhancement". The 6th HbbTV Symposium took place from October 17-18, 2017 at the historic Auditorium Antonianum in Rome. The HbbTV industry event was shaped by the theme “HbbTV: Technical Excellence, Commercial Advantage” and delivered an impressive line-up of keynote speakers, informative lectures and debates. 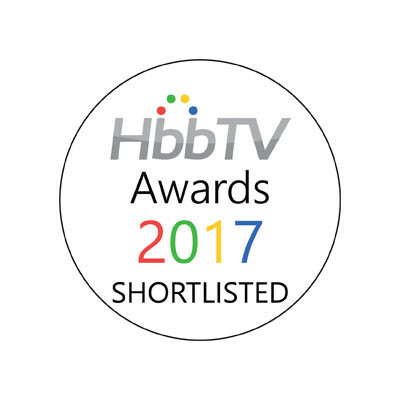 This year’s Symposium also launched the inaugural HbbTV Awards that were presented in seven categories. With three MPAT created applications that were entered in the category “Best use of HbbTV for broadcast enhancement”, the MPAT project, coordinated by Fraunhofer FOKUS business unit FAME, was well presented. All of them made the shortlist and the “Band Camp Berlin” application, created by rbb, did win the award. A fundamental component for the project’s success was the HbbTV Application Toolkit of FAME, the editor toolkit for the TV supplementary material – including photos, videos, background information and 360° content. The toolkit uses a WordPress based user interface and enables content creators like the rbb to produce HbbTV applications easily and cost effectively. From October 24-26, 2017 Fraunhofer FOKUS business unit FAME will present the HbbTV Application Toolkit at the Medientage 2017 in Munich.